With the 116th Congress now in session, the time is ripe for a focused, national discussion on the federal development finance landscape. On April 16-17 in Washington DC, CDFA will host its 2019 CDFA Federal Policy Conference, featuring development finance experts and practitioners from key federal agencies, congressional offices, and policy organizations. The CDFA Federal Policy Conference will highlight rural and urban financing programs, the Opportunity Zones incentive, programs for supporting small business development, as well as financing programs for infrastructure, energy, brownfields remediation, and water systems financing. Conference panels and workshops will be led by our federal financing partners at the Departments of Housing and Urban Development, Agriculture, Transportation, and Treasury, as well as the Economic Development Administration, the Environmental Protection Agency, and the Small Business Administration. Additionally, CDFA will highlight the development finance plans of key Congressional representatives from the House Committee on Ways and Means and the Senate Committee on Finance. Don’t miss this opportunity to unlock the federal financing toolbox in your community. The event will be held at the Washington Marriott Georgetown, and space is limited to the first 250 attendees – register early to secure your seat! CDFA will hold its spring Capitol Hill Day on April 18. Attendance for Capitol Hill Day is optional, but all participants in the CDFA Federal Policy Conference are encouraged to attend. Stop by the CDFA Registration Desk to pick up your conference materials and name badges. All CDFA Federal Policy Conference attendees, speakers, and guests must check-in to receive access to any CDFA sponsored events in Washington, DC. Join CDFA and financing experts from throughout the federal government for a special, one-of-a-kind working lunch. Representatives from federal agencies will be on hand and seated at tables according to specific development finance topic areas. Table topics will include affordable housing, rural development, water infrastructure, transportation, renewable energy, and many more. This nearly three-hour workshop is designed to give Federal Policy Conference attendees a thorough overview of the national movement toward more sustainable, resilient infrastructure, and how it can be financed in your community. Representatives from federal agencies will highlight the financing and funding tools available to support sustainable infrastructure projects, while project finance experts will discuss the ways to assemble a capital stack for non-traditional infrastructure projects. In typical CDFA fashion, the 2019 CDFA Federal Policy Conference will kick-off with some great food, tasty drinks, and exciting entertainment. Whether you attended the earlier sessions or are just looking for a great evening, you can join your fellow CDFA friends and colleagues for a drink in the festive atmosphere. The federal government offers funding and financing for countless project types across the economic development spectrum. In this opening Federal Policy Conference conversation, enjoy a primer on the number of ways you can engage federal agencies to support projects in your community. Small businesses in the U.S. carry a disproportionately large burden to employ the American workforce, with the majority of firms employing just four people or less. Unfortunately, many new businesses – particularly women and minority-owned businesses – struggle to access the affordable capital necessary to build a successful company. In this session, learn from federal experts about the variety of access to capital tools available to support small businesses around the country, and how those tools can leverage private capital and additional public financing to meet business needs. The affordable housing shortage in the U.S. is at crisis levels, with a 2017 report from the National Low-Income Housing Coalition declaring a shortage of 7.4 million affordable and available rental homes for eligible low-income renters. However, despite the most troubling affordable housing statistics seeming to come only from urban areas, rural communities face similar challenges due to poor housing quality and widespread poverty. Join us as we discuss the state of affordable housing in America, and learn how federal agencies are working to solve the problem. James Carras, Principal, Carras Community Investment, Inc.
Join CDFA for a special working lunch which highlights the Congressional development finance plans for the 116th Congress. Congressional leadership and policymakers regularly debate the merits of legislation with the potential to strengthen economic development finance, and this luncheon conversation will highlight current legislative initiatives with real opportunities to drive economic investment and growth opportunities. With the Opportunity Zones incentive taking the nation by storm, many community leaders are wondering what they can do to create projects in their own Zones, and incentivize Opportunity Fund investments. In this session you'll learn from financing experts about how development finance tools can be paired with federal dollars to support projects in Opportunity Zones. 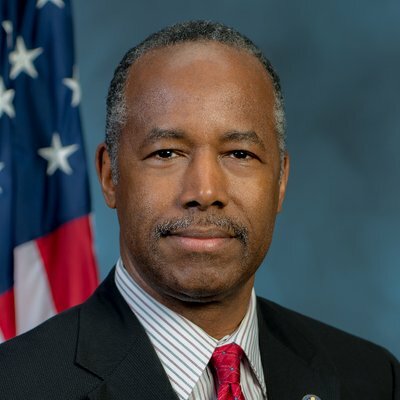 Federal agencies are actively considering ways they can support projects in Opportunity Zones and encourage Opportunity Fund investments into the most highly distressed areas around the country. Join us for our final panel of the day as we explore the basics of the Opportunity Zones incentive and discuss how federal grants, loans, guarantees, and credit enhancements can be used to leverage greater investment into Opportunity Zones. The 2019 CDFA Federal Policy Conference will take place at the Washington Marriott Georgetown Hotel on April 16-17. If you have any problems securing a hotel, please do not hesitate to contact CDFA. To register for the CDFA Federal Policy Conference, click on the Register button below. Registration rates vary depending on whether or not you are a CDFA member.